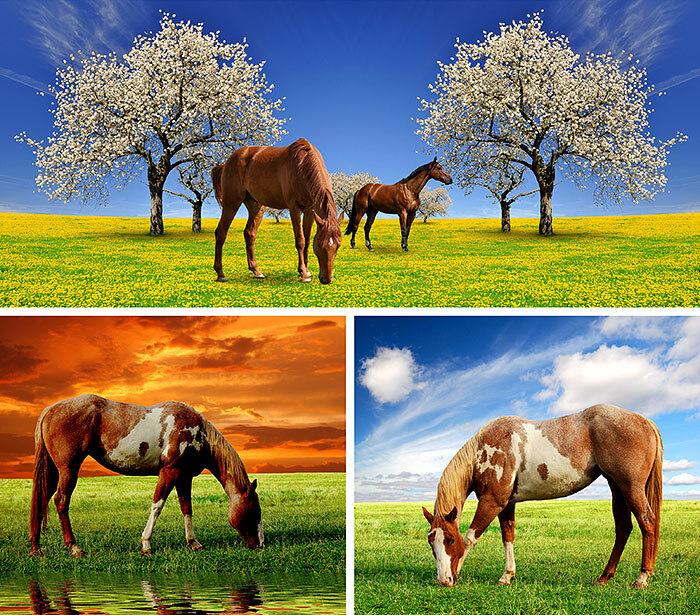 Digitally printed, 38" panel, includes one 43" x 19" and two 21" x 18" frames, 'Horses in the Meadow' by the Rubin Design Studio, designed exclusively for eQuilter. "Even though I live on a small island at the bottom of Australia, a beautiful place, eQuilter gets my fanstatic fabric here and correct. Thank you eQuilter." "I am still amazed at how easy it is for me to "navigate" your website! (my computer skills are minimum) Much more than lots of other websites!! Thanks for making it easy for me to..."
"I just want you to know what a find your website was.....some days i will just log on and peruse through the fabrics and admire their beauty and uniqueness. Went to Bali last fall..."